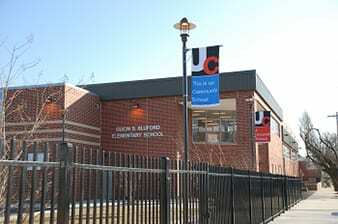 Universal Bluford Charter School is nestled in the heart of West Philadelphia serving approximately 540 scholars. Our focus is on developing the whole child, which will lead to improved student learning, stronger families and healthier communities. At Bluford we remove barriers to learning by providing our scholars with a rich, cultural, standards aligned curriculum, a School-Based Health Center, and the Family Student Resource Center. 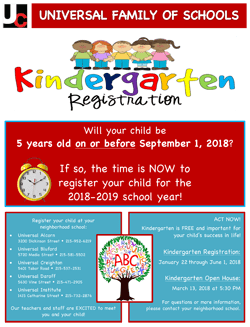 For more information, contact the Universal Bluford Charter School at (215) 581-5502 or send us an email. Watch: "Bluford Celebrates PSSA Success!